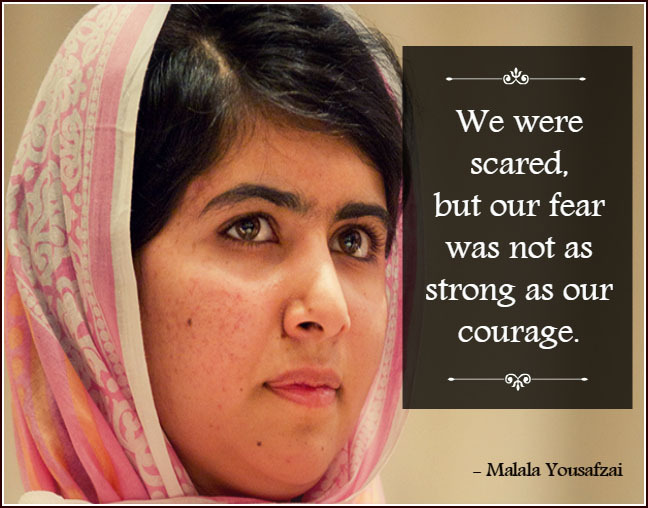 Powerful Malala Yousafzai Quotes That Will Truly Empower and Inspire You! 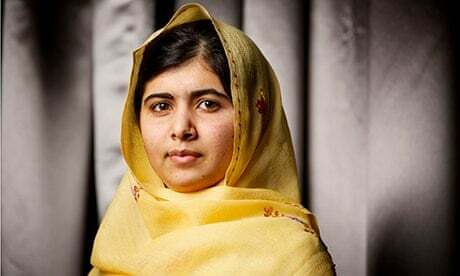 Malala Yousafzai, the 17-year-old Pakistani teenager, won the 2014 Nobel Peace Prize, which made her the youngest winner of the prestigious award. 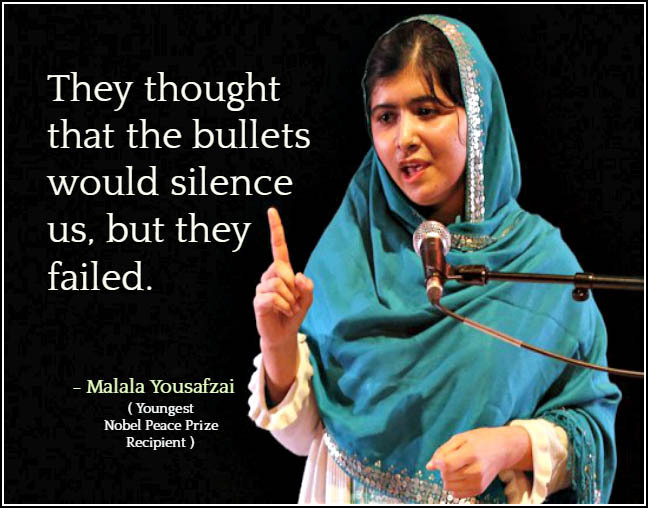 Malala is the girl who was shot in the head by Taliban gunmen for defying their policy that banned women in Pakistan to have education. 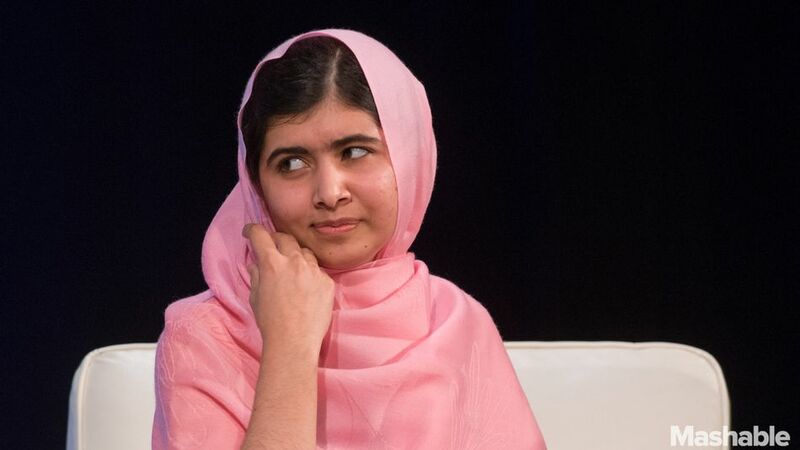 In 2012, while riding a school bus, she was attacked and shot in the by Taliban soldiers which gave her a serious head injury and made her unconscious for 10 days. 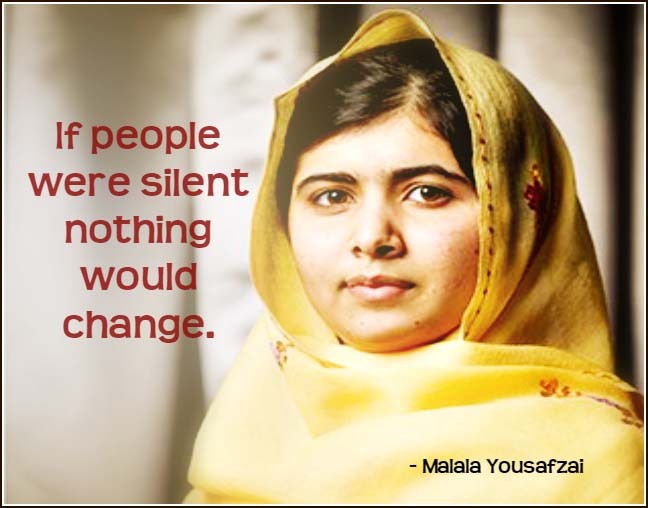 But this didn’t stop her from fighting for women’s right to have education, especially for the girls in her country. 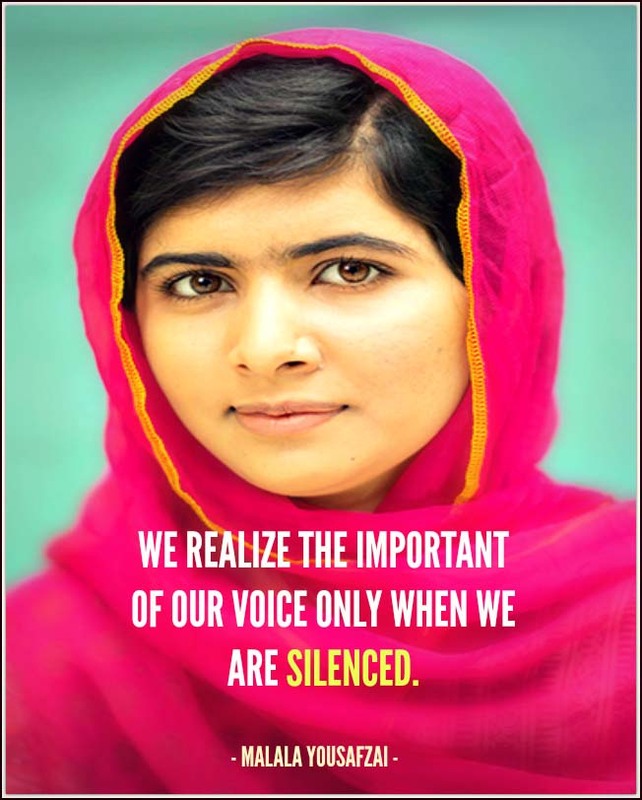 As soon as she recovered, she continues advocating for the woman’s right to be educated. 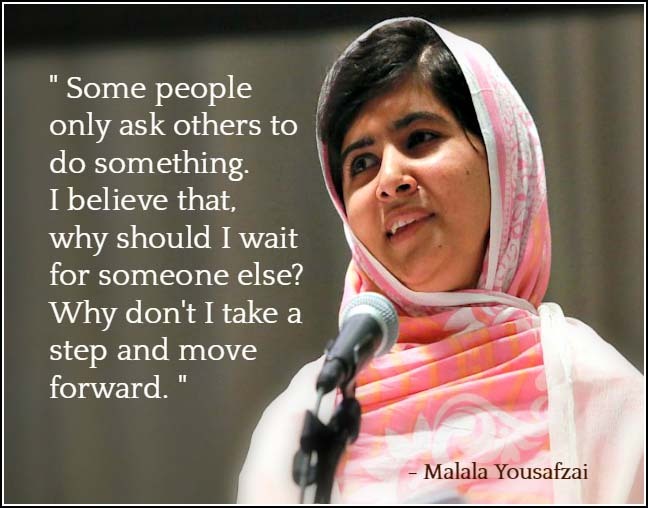 Now, she is one of the icon of bravery and hope and an inspiration to many. 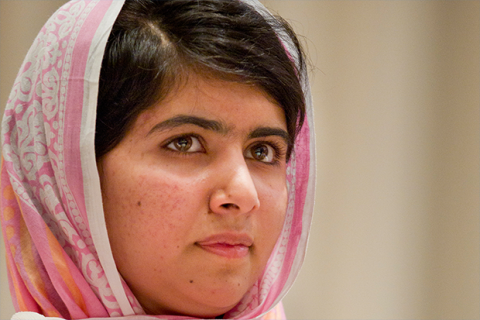 Here are some of the most notable quotes of Malala Yousafzai that will surely inspire you. 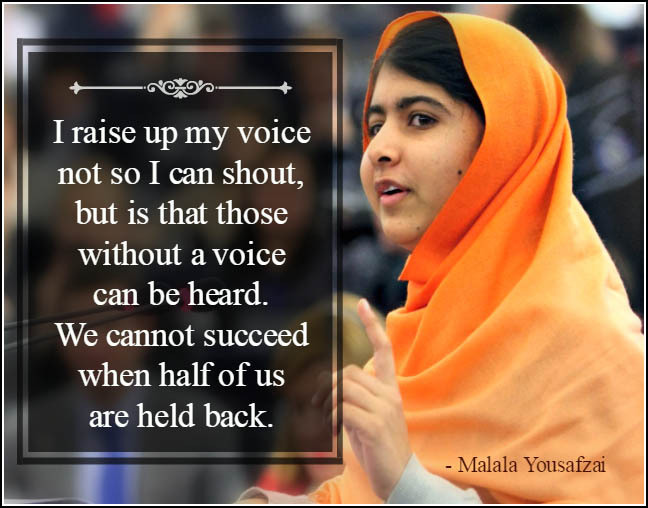 I raise up my voice-not so I can shout but so that those without a voice can be heard…we cannot succeed when half of us are held back. 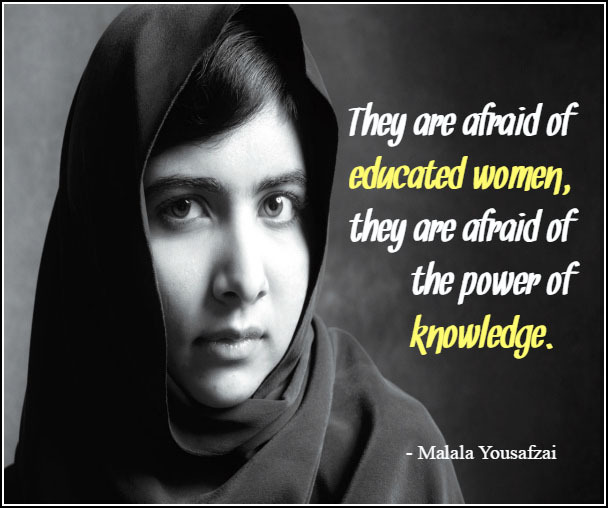 They are afraid of educated women, they are afraid of the power of knowledge. 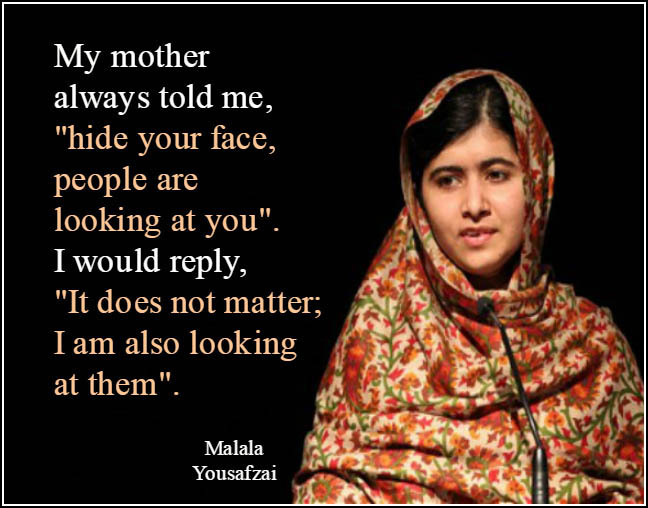 My mother always told me,”hide your face-people are looking at you”.I would reply,”it does not matter;I am also looking at them. 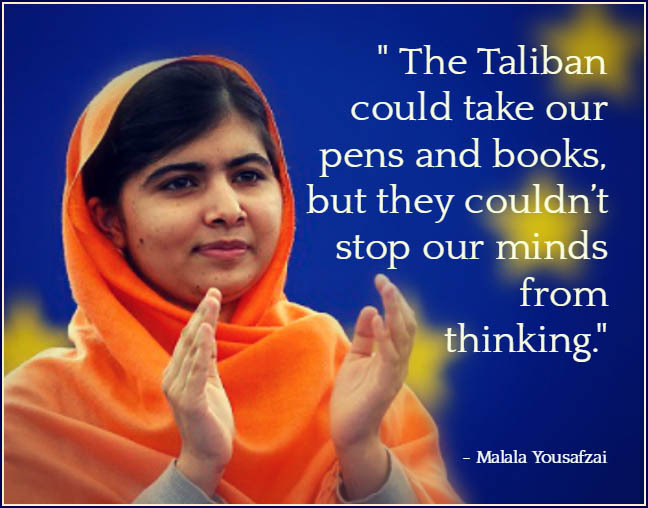 Let us pick up our books and our pens. They are our most powerful weapons. 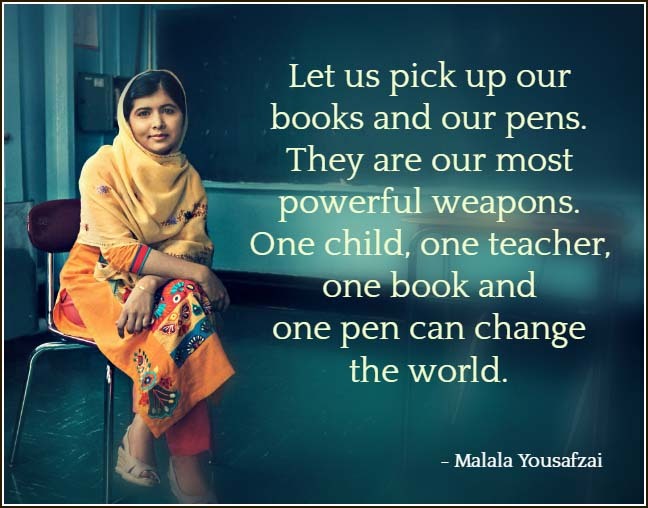 One child, one teacher, one book and one pen can change the world. 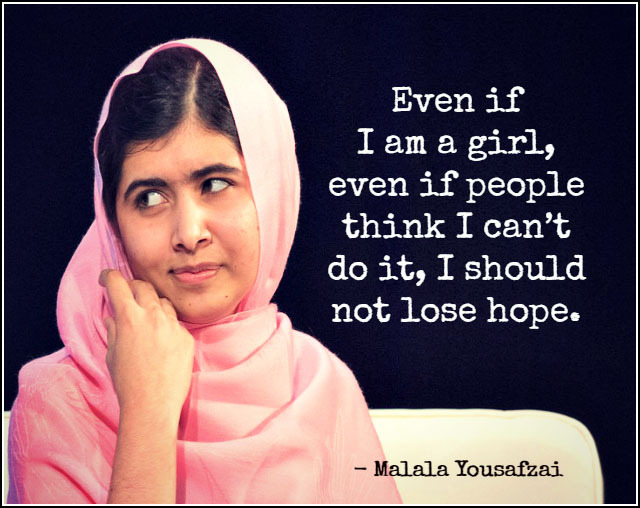 Even if I am a girl, even if people think I can’t do it, I should not lose hope. 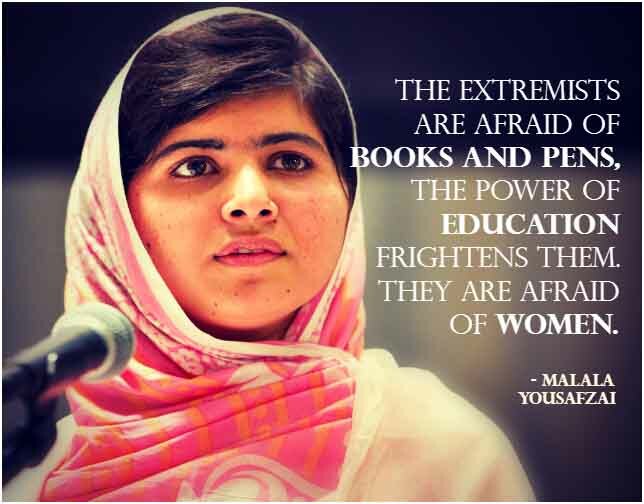 The extremists are afraid of books and pens; the power of education frightens them. They are afraid of women. 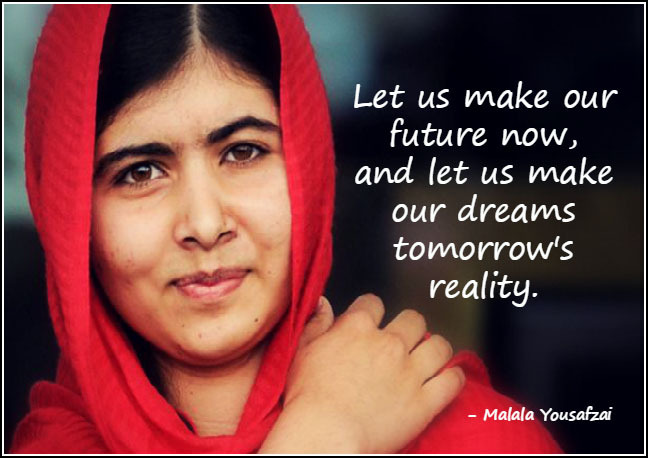 Education is education. We should learn everything and then choose which path to follow.” Education is neither Eastern nor Western, it is human. 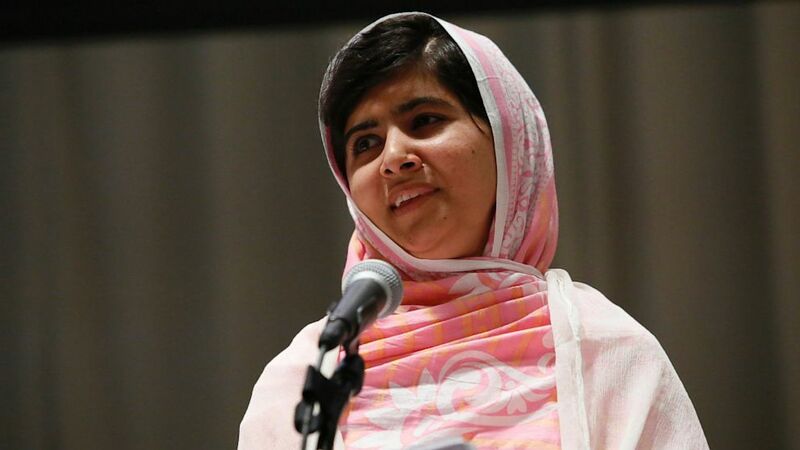 I don’t want to be thought of as the “girl who was shot by the Taliban” but the “girl who fought for education.” This is the cause to which I want to devote my life. 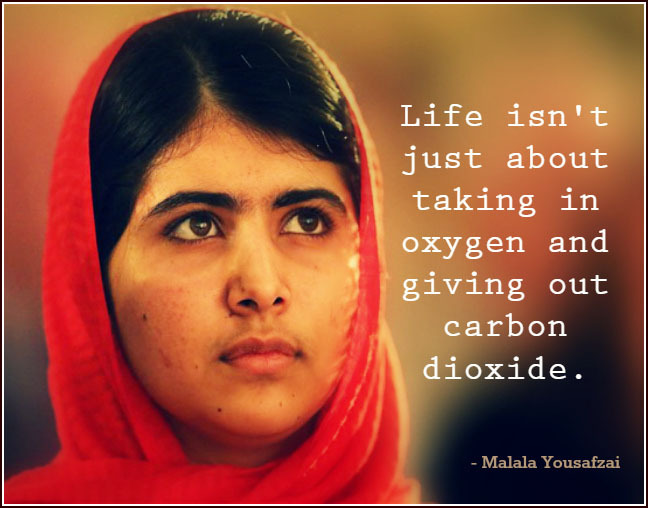 Life isn’t just about taking in oxygen and giving out carbon dioxide. 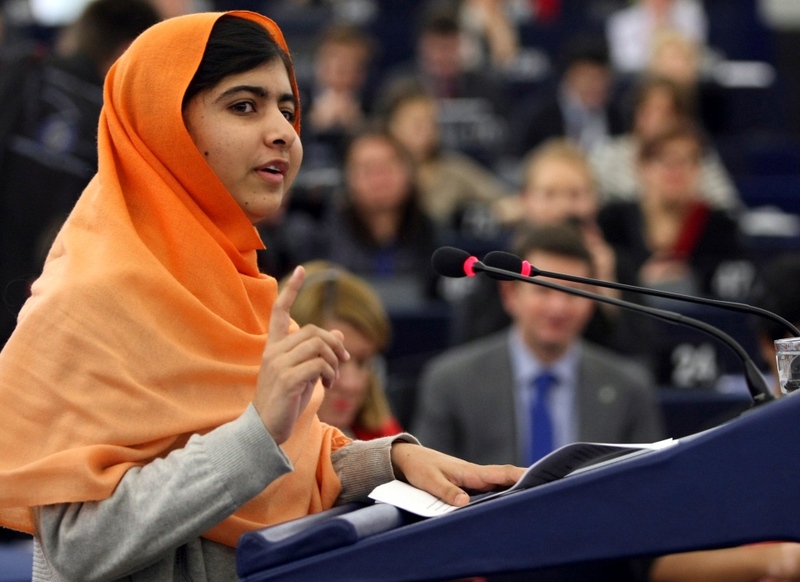 I don’t want revenge on the Taliban, I want education for sons and daughters of the Taliban. We cannot succeed when half of us are held back. I don’t want awards, I want my daughter. 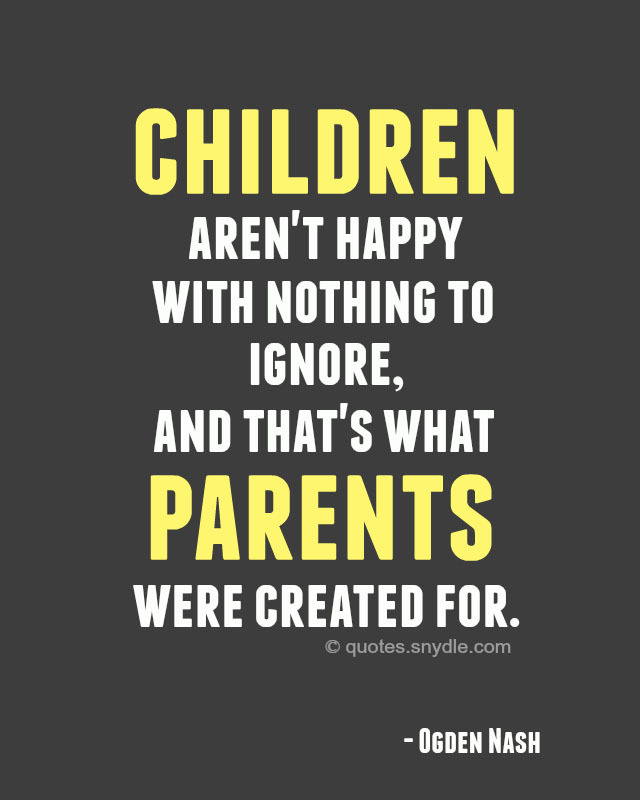 I wouldn’t exchange a single eyelash of my daughter for the whole world. Our men think earning money and ordering around others is where power lies. They don’t think power is in the hands of the woman who takes care of everyone all day long, and gives birth to their children. 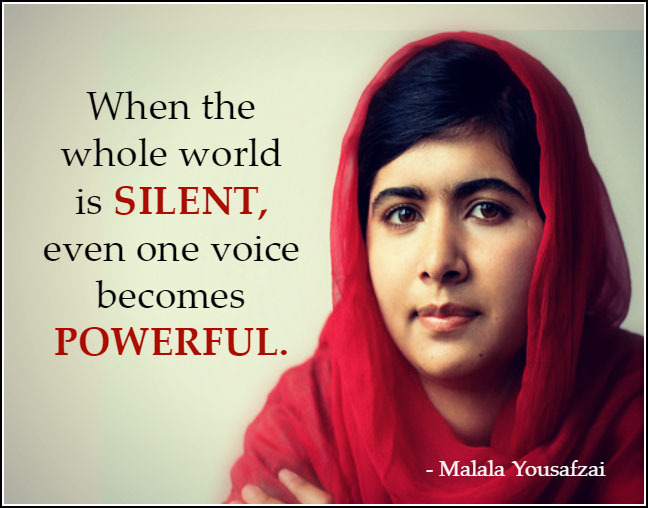 I raise my voice not so that I can shout, but so that those without a voice can be heard. 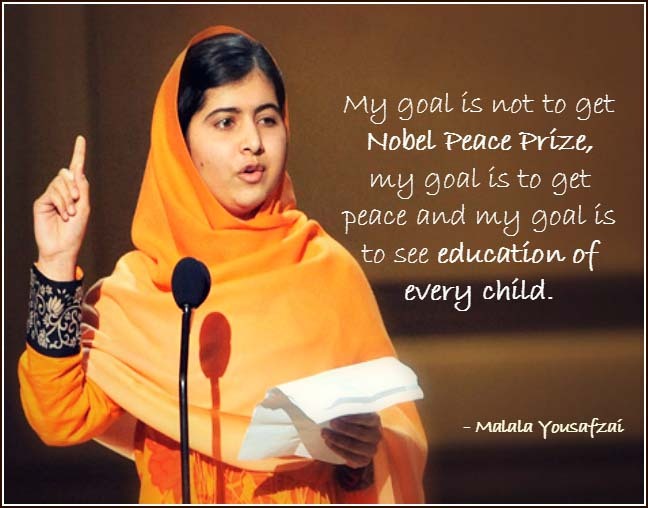 My goal is not to get Nobel Peace Prize, my goal is to get peace and my goal is to see education of every child. It seemed to me that everyone knows they will die one day. My feeling was nobody can stop death; it doesn’t matter if it comes from a Talib or cancer. So I should do whatever I want to do. 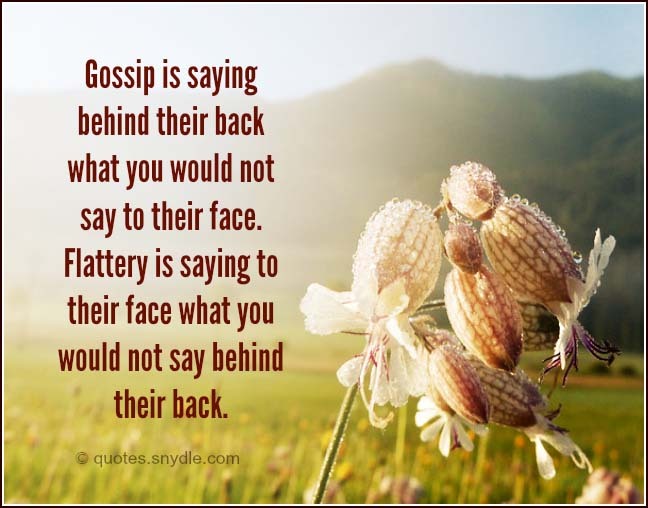 This is what my soul is telling me: be peaceful and love everyone. I believe there is no difference between a man and women. I even believe a woman is more powerful than men. I fought, why shall I wait for someone else? Why don,t I raise my voice? Why don’t I stand up for my rights? I need to hell the world what is happening. There was a time when women asked men to stand up for women’s rights. This time we will do it ourselves.